Philly Tech Week gathers the city's best for a week of events. 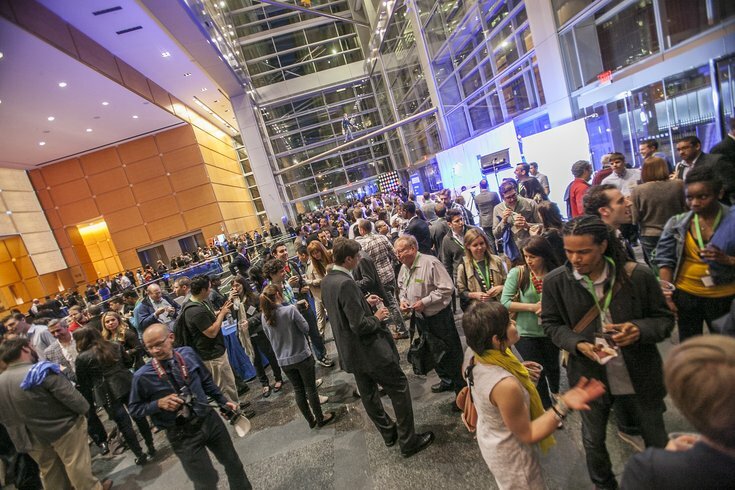 The eighth annual Philly Tech Week will take place Friday, April 27, through Saturday, May 5. During those nine days, there will be 99 events across Philadelphia celebrating technology and innovation. Below we've listed five free ones that are worth checking out during Philly Tech Week 2018. Head to The Schmidt's Commons to play in the outdoor app arcade. Local game developers will present their products for attendees to try out. At this presentation and discussion, a diverse panel of local experts will explore how the technological advances of today will affect the Philadelphia of tomorrow. "The world will change more in the next 20 years than it has in the last 300 years," states the event description. Tech leaders will discuss how hot tech trends become realities. After the discussion, attendees will break into small groups for more in-depth conversation with each panelist, followed by cocktails and networking. Local startups will show off their newest tech at the Franklin Institute during this massive expo. Clarip CEO Andy Sambandam will lead a roundtable discussion on the implications of the Facebook-Cambridge Analytica news and the European Union General Data Protection Regulation (GDPR) for the business and startup community in Philadelphia. Not interested in any of those? See the full list of events here. You can search for events by date or by category (creative, access, development, civic, business, media and science). Philly Tech Week is sponsored by Comcast and organized by Technical.ly Philly.